First things first, where are you from and how did you get into fishing/ photography? I’m third generation, south Miami and spent a lot of time in Keys. I started diving when I was 18 months, my father was a big free diver and dove for sunken ship treasure. He use to take me with him when he free dove, I would hang on to his neck and when he went down, I had to splash and stay afloat, had to learn quick. Free dive spearfishing became my love and became a commercial spear fisherman during high school and college. I went to Florida State to pitch for the Seminoles and thought that baseball would be my career until I had shoulder surgery, after that I modeled professionally all over the world and one day a photographer I knew had me take some pics for him and said I had a great eye. That same day I bought a camera from him and never looked back. I photographed professional models all over the world for nearly 25 years, actually shooting the same people that I worked with in the business for years. Have been in the industry my whole life. A few years ago I decided to combine my profession with my passion and do something at a level that has not been seen yet. 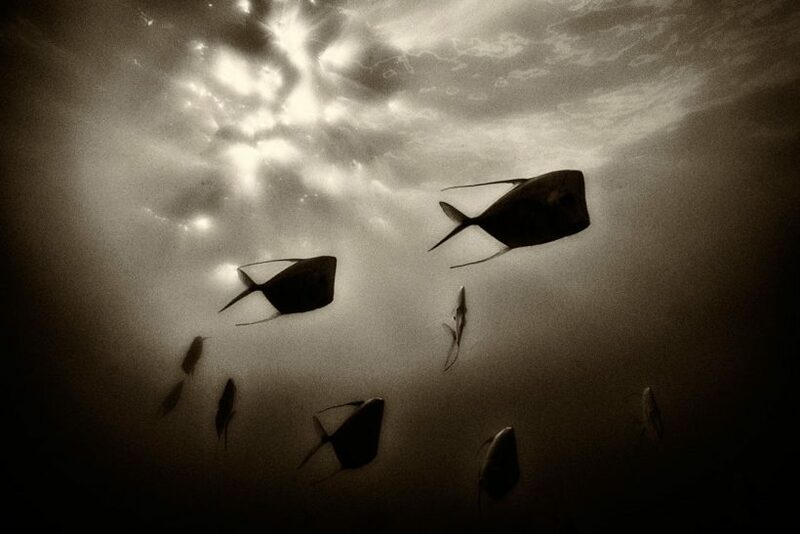 Extreme oceanic photography in an art form, not just a fish picture. 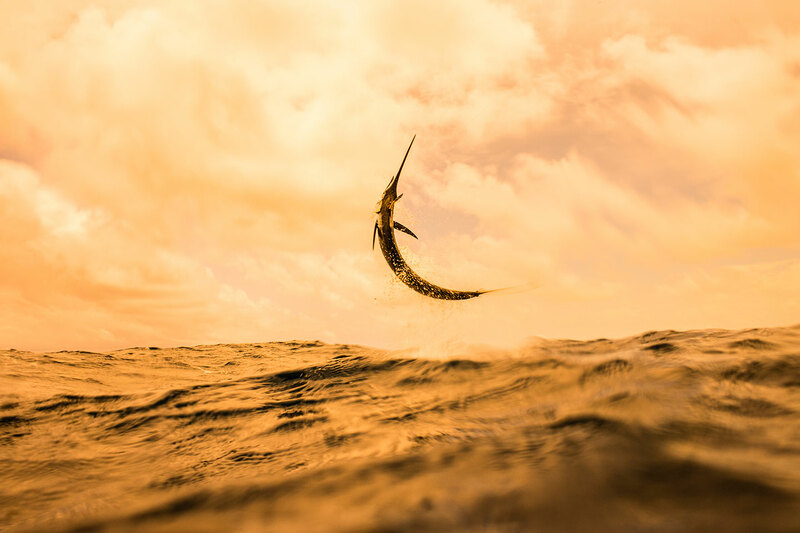 I only released this about a year ago and people are going crazy, anyone can shoot in a lake or a stream but shooting Swordfish and Sailfish in the Gulf stream, well thats a totally different animal. Baseball early on and later wished I had been a Navy Seal, have dove with several of them. 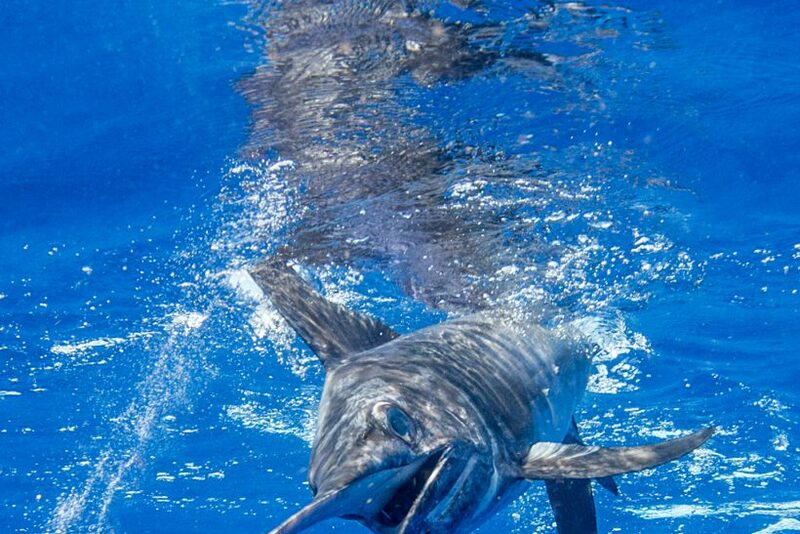 You recently had a harrowing encounter with a swordfish. Tell us more about that. Tough question, but is there a particular photograph which is the most meaningful to you? 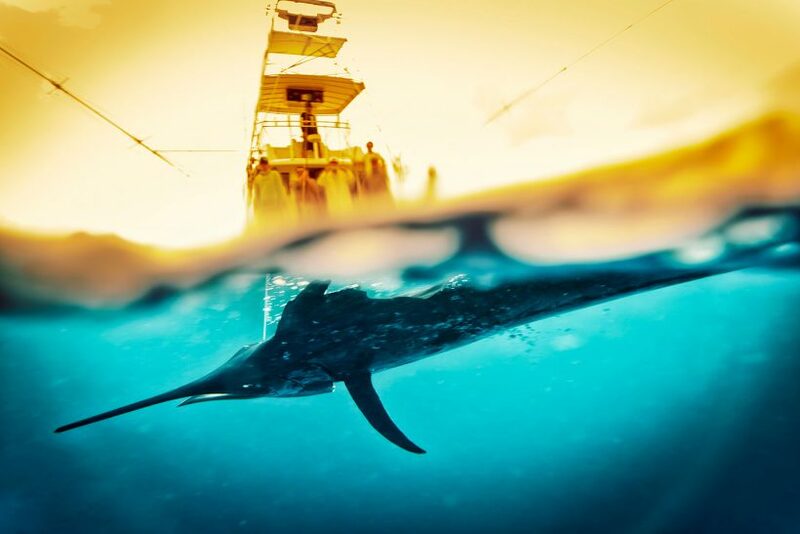 I guess the Swordfish shots are most meaningful because they are so hard to get knowing that they will try and kill you, they are the meanest animal I have ever encountered. I have been attacked by Bull Shark and they are mean but nothing like a Swordfish. I have Swordfish shots that no one in the world has and I know why, everyone is probably smarter than me. 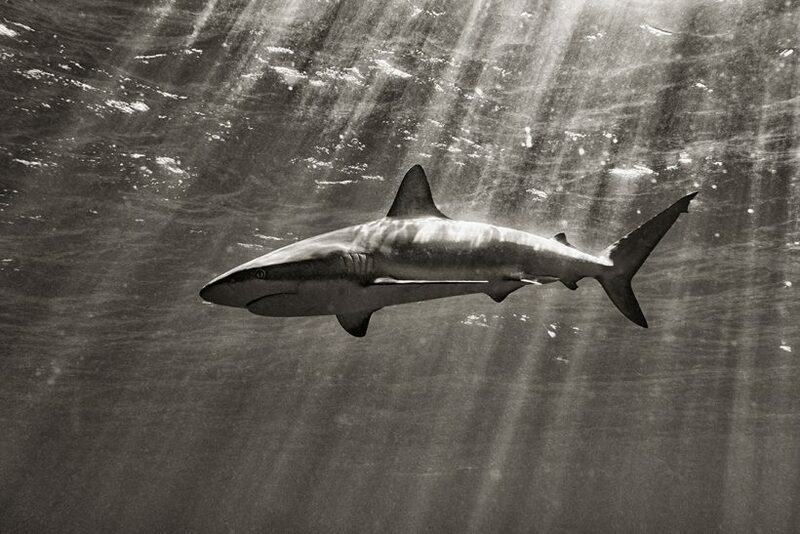 Is there something about being underwater that creates especially vivid photographs? Every shot you take underwater is different because the water and waves change and move constantly, lighting and everything changes. 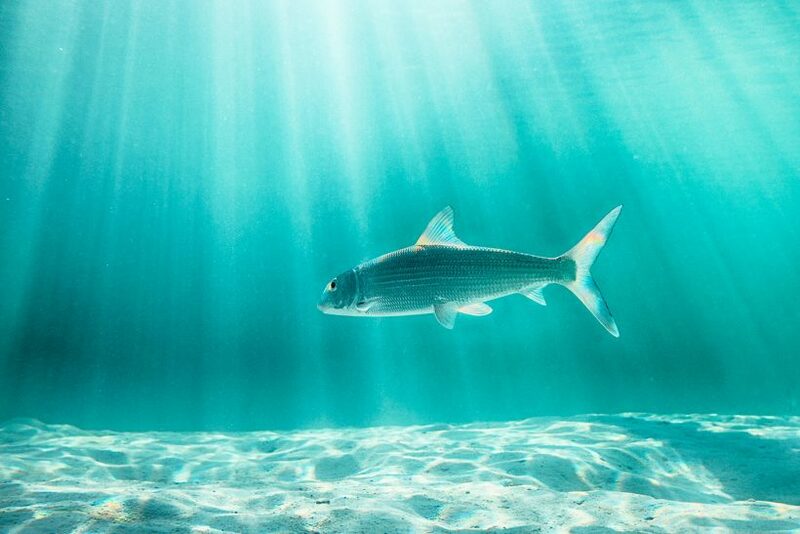 What do you think is the biggest environmental threat facing oceans today? Very large scale commercial fishing. Shoot something you know about, the way they move, turn their head, how do they look when they are threatened, love what you shoot but KNOW what you shoot. What’s next for Kevin Dodge? To become the greatest underwater photographer that’s ever been! Follow Kevin on Amberjack or visit his website.